BBPSU 3.0 on the way! 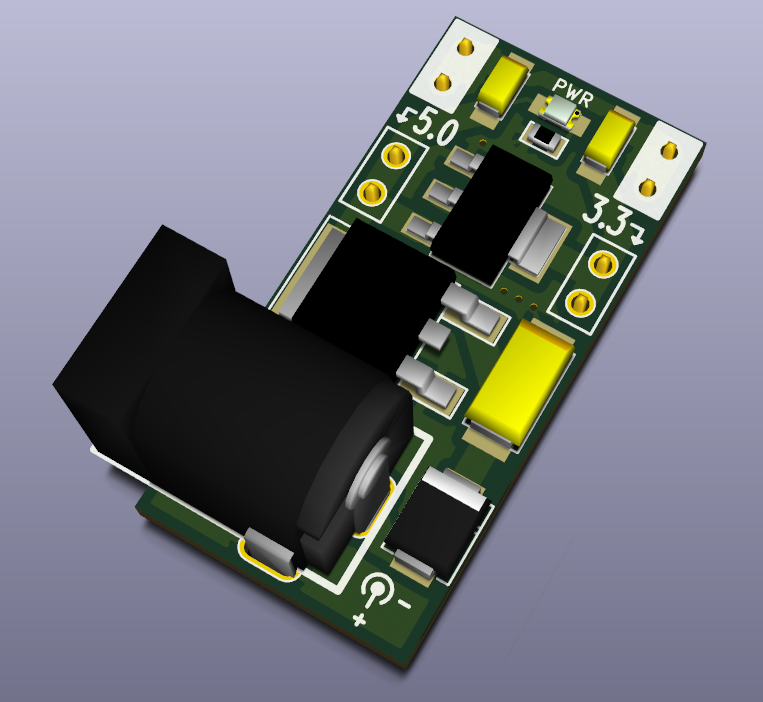 This version includes better thermal performance for the 5V regulator, by switching to a D-PAK (TO-252) package. This has more surface area and a larger heat sink area on the board itself, and provides a more stable surface to install a small heatsink. The other major change is that rather than driving the 3.3V regulator directly off the DC input, it is chained off the 5V regulator. This actually allows more current to be drawn from the 3.3V regulator, since it has a smaller voltage drop to regulate down to. This does mean the total output is limited by the 5V regulator, but it is a considerable improvement in what you can draw from the 3.3V rail. The remaining changes are mostly cosmetic. This happens to be the first version I've used Kicad for, which is unexpected to me given I've used Kicad on a number of projects now! These should be available soon from nicegear.co.nz!